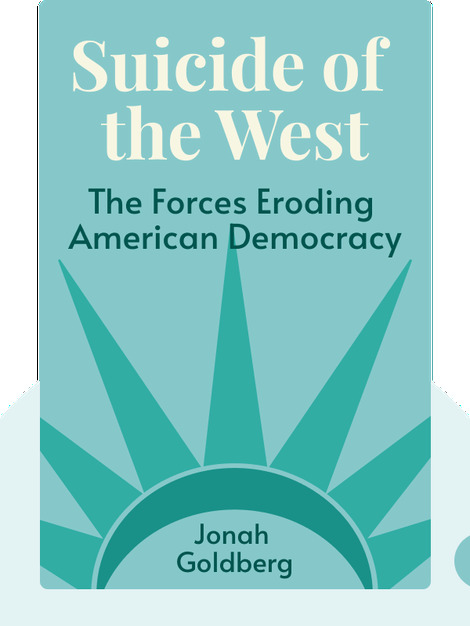 Suicide of the West (2018) answers two vitally important questions: what made the triumph of Western civilization possible and how can we preserve its achievements. Tribalism, Goldberg argues, might be deeply rooted in human nature, but it can be held in check. If we want to discover how that can be done, we need to look at the two greatest examples of what he calls the “miracle” – the revolutions that put England and, later, America on the path to liberty and greatness. And the stakes couldn’t be higher. If we fail to learn history’s lessons, we’ll end up contributing to nothing less than the suicide of the West. Jonah Goldberg is an American conservative writer and pundit. He is a regular contributor to the Los Angeles Times and the senior editor of the National Review. 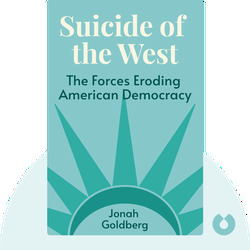 Goldberg is known for his book Liberal Fascism, a blistering attack on left-wing authoritarianism which reached number one on the New York Times best-seller list in 2008.